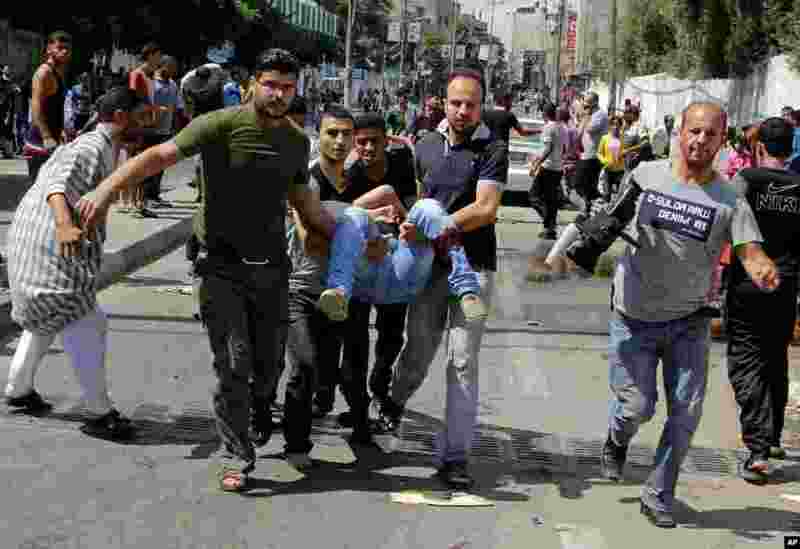 1 Palestinians carry a person killed in a blast outside a U.N.-run school in Rafah, in the southern Gaza Strip, Aug. 3, 2014. 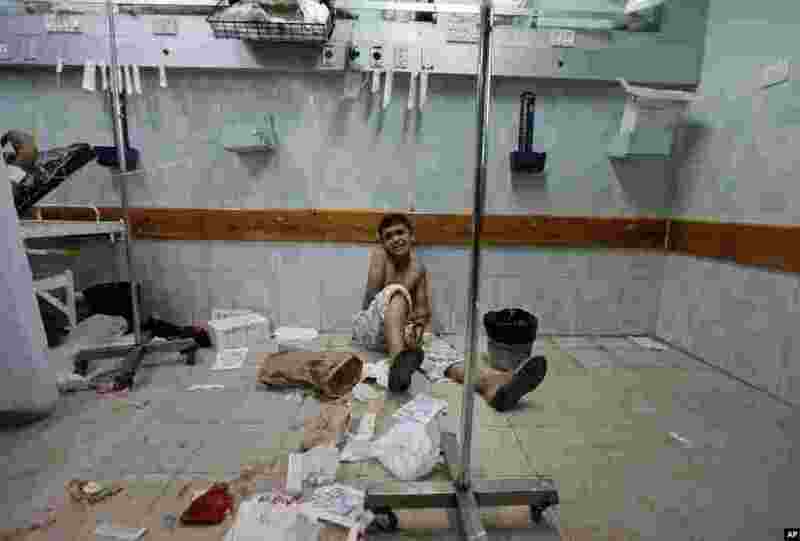 2 A Palestinian boy, who was wounded in an Israeli strike on a house in Beit Lahiya, northern Gaza Strip, sits on the floor as he waits to be treated at the emergency room of the Kamal Adwan hospital, in Beit Lahiya. 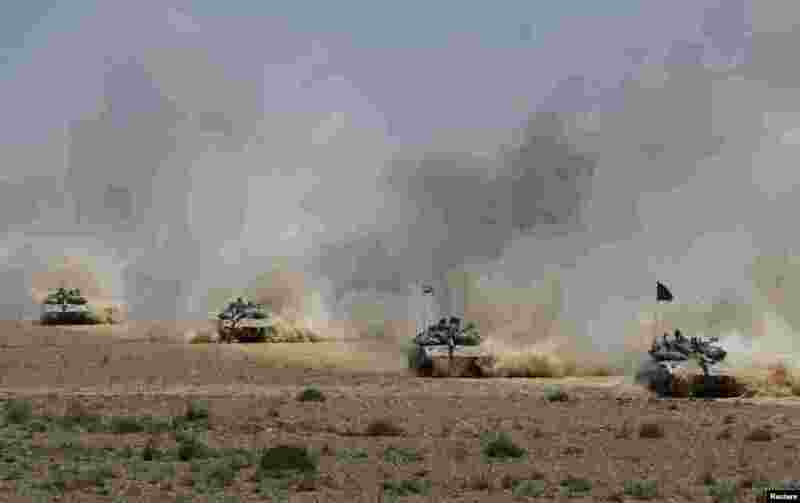 3 Israeli soldiers ride tanks after returning to Israel from Gaza. 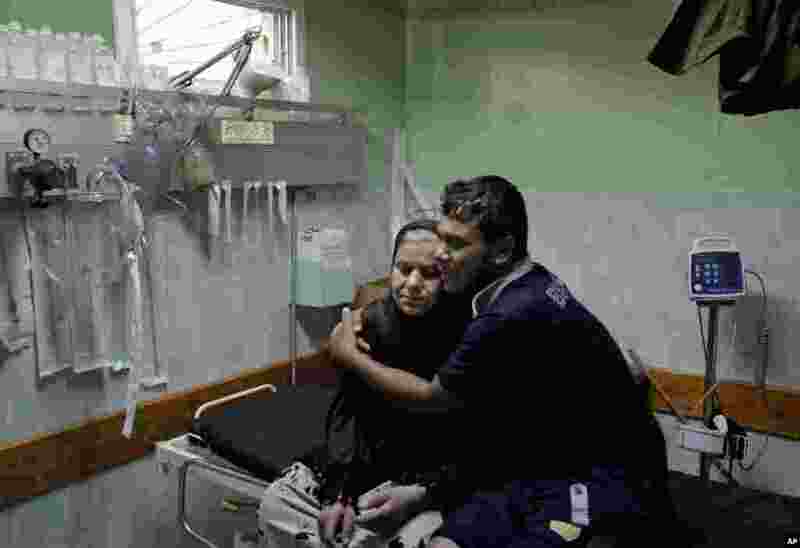 4 A Palestinian comforts a woman, wounded in an Israeli strike at a house in Beit Lahiya, northern Gaza Strip, at the emergency room of the Kamal Adwan Hospital, in Beit Lahiya.